The gifted artist walks StarWars.com through the process of developing a brand new planet for the hit game. At this point, Doug Chiang is a Star Wars legend. 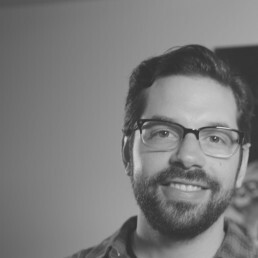 Now Lucasfilm’s VP and executive creative director, he served as design director on both The Phantom Menace and Attack of the Clones, was the concept artist for Star Wars: The Force Awakens, and is currently the co-production designer on Rogue One. In other words, he has helped shape the visual identity of Star Wars in the modern era like few others, and that includes the new Star Wars Battlefront video game. Chiang advised on the game’s art direction, guiding developer DICE’s designs to be authentically Star Wars — especially important considering the game features the first real appearance of Sullust, a planet of molten rock, lava flows, and white smoke, only mentioned briefly in Return of the Jedi. 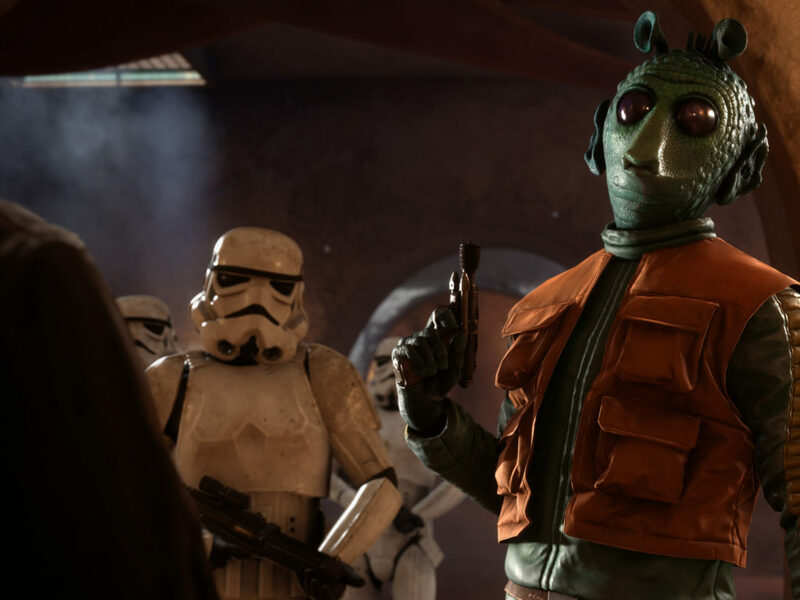 StarWars.com caught up with Chiang to talk specifically about the creation of Sullust, along with other aspects of bringing Star Wars worlds to next-gen consoles. StarWars.com: From what I understand, you had done visual exploration on Sullust prior to Battlefront. Doug Chiang: Yeah. So on Sullust, we did a little bit of development because we weren’t sure if it was going to end up in Episode VII. Early on in Episode VII, we were just doing blue-sky design prior to an actual outline and script. We were exploring a lot of different planets, all from the canon of Star Wars. Sullust was one of those planets that hadn’t been explored before in the films, and we thought it might be interesting to kind of develop that a little bit and see what we could do with it. At that time, we hadn’t really evolved the planet design in terms of the aesthetic yet. So we were really just trying to put down some ideas to spark conversations. When we started working on Battlefront, it was more of the same thing. 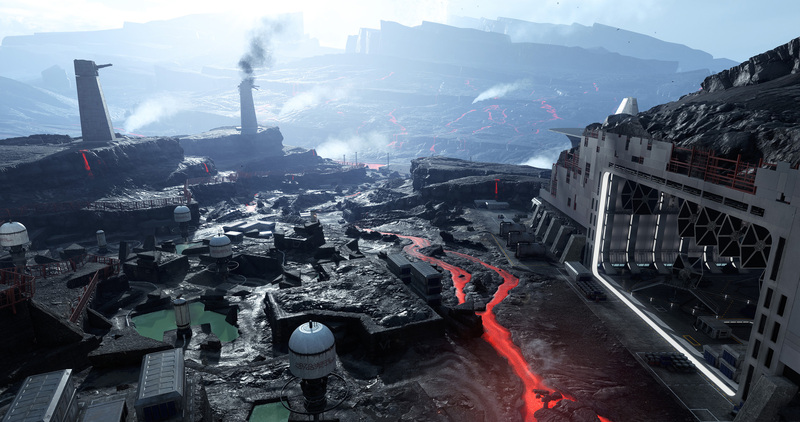 At that time, Sullust was identified as a potential planet for the game, and the team at DICE started to do some development art. We quickly honed in on what the look and the feel should be. StarWars.com: How did you decide what type of planet Sullust was going to be, what the landscape was going to be? Why is it not, you know, a grass planet? Doug Chiang: I think DICE proposed it, in terms of the look, and we all [at Lucasfilm] approved it and vetted it and helped evolve the final design. A lot of it was trying to find a different texture, and that’s one of the unique things about the Star Wars universe. The planets all have a distinct voice, a distinct look. And [we wanted] to come up with something that could really complement what the other planets are. We knew in Battlefront that we were going to have a snow planet, a desert planet, and a forest planet. What else could we put in there to make it texturally more interesting? Iceland turned out to be a great candidate — the Icelandic lava flows. And that feel was very unique. It was something that fit and felt very Star Wars, but it was something that hadn’t been developed yet, and it complemented the palette very well. 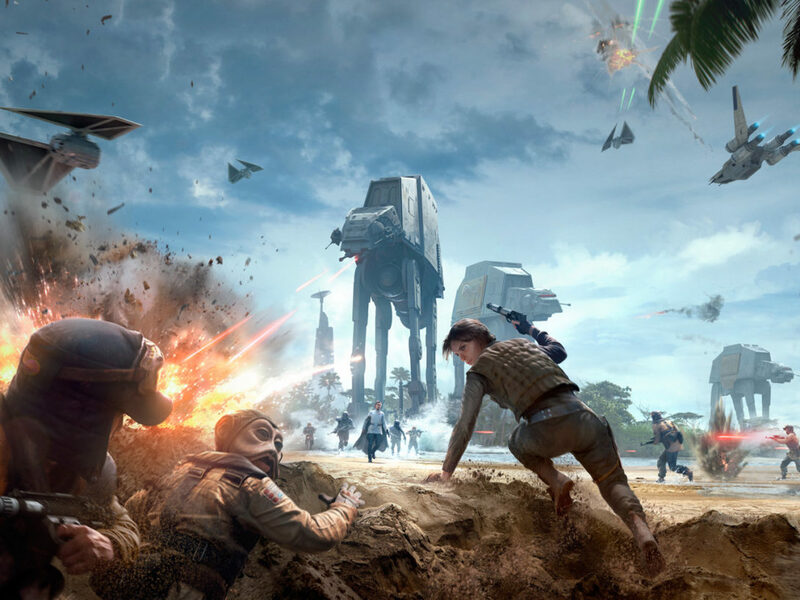 StarWars.com: And once the decision was made, “Okay, we’re going to have Sullust in Battlefront,” and then you have to switch gears and work with game developers versus filmmakers, what was the process like for you? 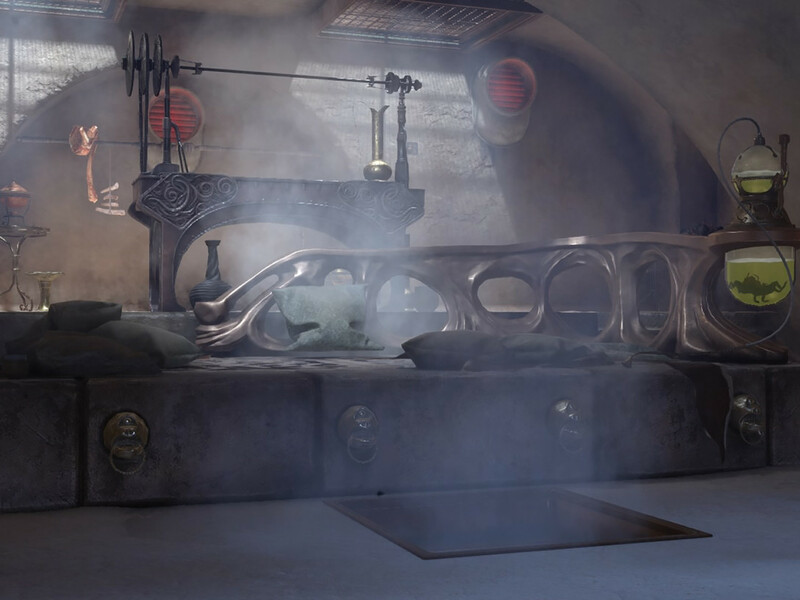 Doug Chiang: I’ve touched on game design before, but this time it was more immersive. You know, we’re dealing with familiar Star Wars design and, in some ways, it’s very similar to film design. All the rules are still there, you still have to create a very strong, iconic design. So all the principles of what makes a strong design apply. For a game experience, it actually has another layer of complexity, because everything has to be fully flushed out. Whereas with film, you’re designing sets with a very specific point of view, which is the director’s point of view. It’s a very guided experience. You can sometimes cheat. Let’s say, for instance, when you’re designing a set and you know the director is only going to shoot in this direction here, so you don’t have to worry as much about what’s behind the camera, because the camera will never go there. StarWars.com: You can make a huge wall, but you don’t have to worry about what’s behind that wall. Doug Chiang: Exactly, exactly. I mean, in the initial stage, you have to do all the homework and design the whole room, but then when you get down to the refinements, it will be a very specific point of view. Then we flush out what will be seen from the camera. For a game, it’s that, but then you still have to figure out the rest of it, because you don’t know where the player experience is going to go. Things like, they might look behind the door. So all the thought that goes into it has to be executed. 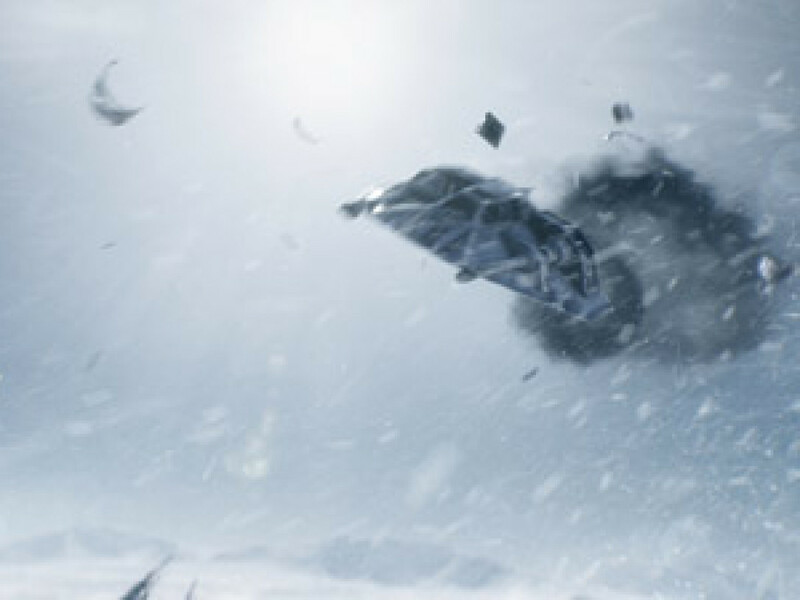 StarWars.com: I’d imagine that’s a hard thing to stick the landing on for the first go-round. Was there a lot of back and forth? The real challenge was, in the game itself we were going to develop these Imperial bases so that the player could run through it and kind of experience it. So, what is that Imperial base? What is the aesthetic of that? What should it look like? Early on, the first exploration, we’re literally taking the Death Star hangar and Death Star structures, things that we’re very familiar with that [connected] the player or the audience to the Empire, and sticking it onto this volcanic, Icelandic landscape. It kind of worked. It validated that the concept could work, but on the other hand, you couldn’t really just take the Death Star hangar and stick it on there, because it looked out of place. So we started to explore, “What would be the logic of the Empire coming here? What would they bring to this base in terms of their aesthetics?” There are a couple of driving factors there. One, there’s very Imperial-looking design aesthetics. You know, the pillar lights, the structures, the very sort of Brutalist-type architectural forms. So we incorporated a lot of that in there, and then we figured out, okay, there’s going to be a hangar. It can have, perhaps, hints of the Death Star hangar, so we know it’s that it’s an Imperial hangar, but it can’t be so on-the-nose. Likewise, with landing platforms, we were doing the same thing. The easiest thing was to take the landing platforms from Endor, stick it on this new landscape, see if it works. The idea works, but from there we start to massage the design to make it more fitting to the landscape itself. So that was the whole start of the design process. 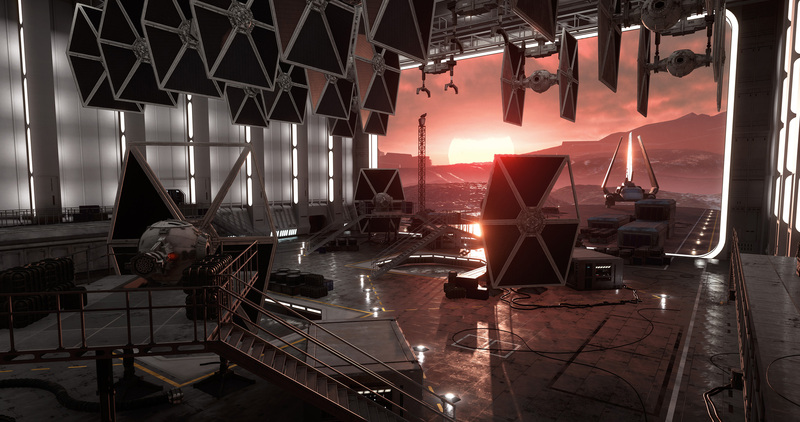 StarWars.com: Are there things you and DICE did to create a symmetry between the natural landscape and the base, to have them play off each other? 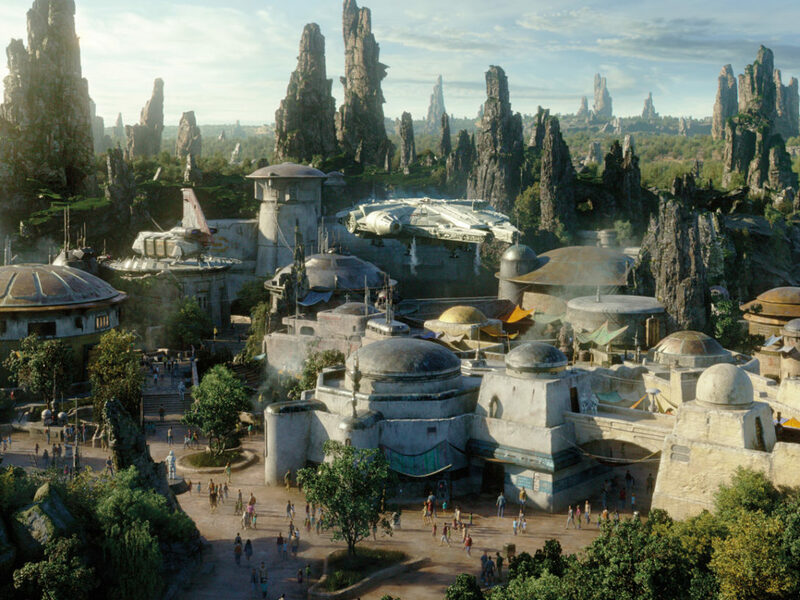 Doug Chiang: In many ways, part of our design task is to come up with a backstory of why the designs look the way they do and how they fit the landscape. So that’s some of the homework we do. “Okay, if the Empire’s coming in and taking over this place, why did they come here and what are they doing here? Are they making a statement? Are they hiding for some reason?” That all kind of informs the type of structures that you’ll do. We know that the Empire doesn’t really care about the environment. They just go and take over. One way of approaching it was that they go there and they’re not being nice to the environment. They’re just, basically, making it very functional. They do what they want to it, whereas the Rebels are trying to incorporate the environment. They’re trying to work with the environment. And so that informs the amount of design that goes into an environment and how much is changed. That goes back to the story part of it, in terms of why are we using this planet, what are they doing here. StarWars.com: As the game was being developed, did you play it to see how the designs were working? Doug Chiang: I can’t play test because I can’t navigate very well, but when they do have a level that’s working [I try it]. Early on I did get to experience it by navigating through it, and I found that fascinating. What I found particularly interesting was just exploring the environment, because it really felt real. On Endor, for instance, you can walk through the [forest], and down the stream, and under trees, and it felt real. What I loved about that was, it told me that the DICE team did their homework. They really made the forest feel real and look real, and the fact that you could walk anywhere and not lose that experience really spoke to the level of attention that they paid to it. A lot of these were different interpretations of what was in the films, but it still needs a layer of authenticity to make sure it’s grounded in the Star Wars universe. It’s a fine line in terms of designing what is Star Wars and what is not, and you can tip one way or the other very quickly. Part of my role is to help guide that, to make sure that we always veer onto the Star Wars side of things. It was more of a higher level overview of like, “Does this Tatooine hangar and hallway look like they could fit within the film? Could it be a film frame?” Sometimes yes, sometimes not. And if not, what do we need to change to make it work? StarWars.com: What’s your process for creating a planet in general? What kind of research do you do? Doug Chiang: When I start designing a film, I do a lot of research and try to find the most unique, iconic landscape that hasn’t been exploited. [Laughs] It’s hard to do now, because everything’s been exploited. But the trick to it is finding something unique and just adding a little twist to it that no one else has done before. Whether that’s changing the scale, changing time of day, turning lava into snow or something, it’s a matter of trying to look at it from a different perspective. The first task is to look at all the various locations and do a heavy pass of research. And then once you hone in on a look that can work, what I normally do is take that and then starting thinking about how can we make this unique without making it less authentic. It still has to be grounded in reality, and that’s the advantage of actually going to a real location. You’re leveraging off the reality of that, and what you’re doing is twisting enough of it to make it more unique and more exotic. Once you do that second layer of taking a location that’s unique and has a distinct voice, you layer in the Star Wars element, and you start to massage back and forth. How much should you tweak, how much of the scale should you change, what new elements should you bring into it? It’s a very dynamic process. In some ways, there are no set rules of like, “Okay, X percentage of this will turn this into this.” It’s almost an instinctual thing where you have to keep molding it and playing with it. In some ways, I look at the designs for environments very much like an oil painting, where you’re constantly shifting and experimenting with things to get the right combination. 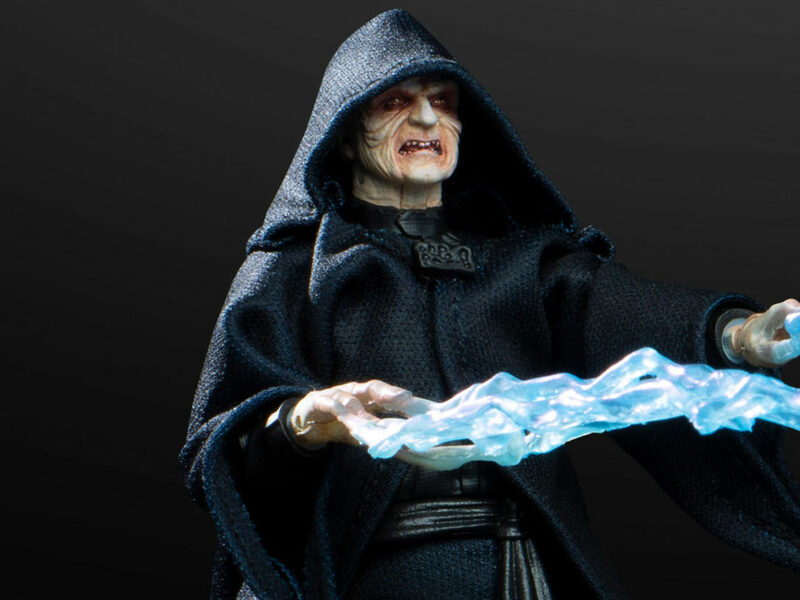 StarWars.com: And how intense is your research? Is it just a Google image search, or do you go and visit locations? Doug Chiang: Both. It’s all of that. StarWars.com: Did you do that for this? Doug Chiang: Not for this. The DICE team did. Eventually, they did go out on location and shot actual plates and looked at material and studied the geography and geology of it. You have to go there to smell the air, feel the humidity, just kind of take it all in, because that informs so much of your design afterwards. 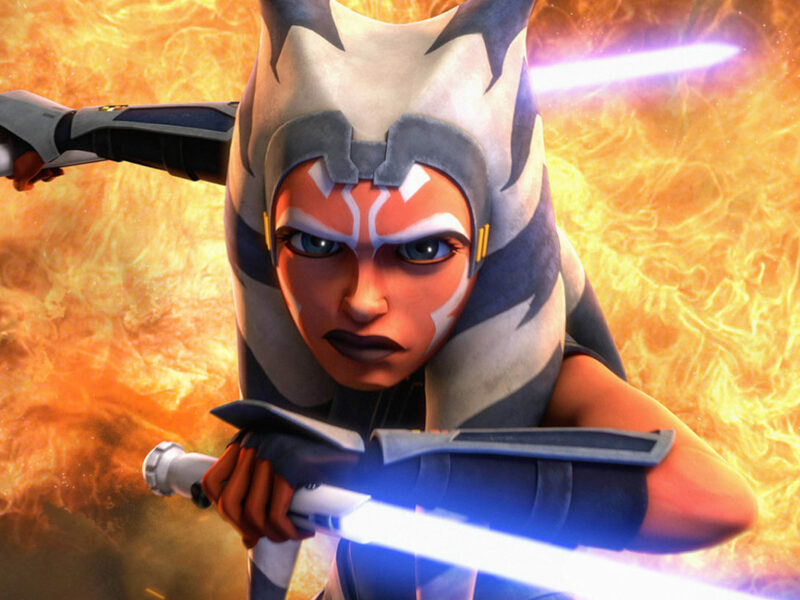 StarWars.com: Can you elaborate on that? How would that kind of experience translate into what you could convey to people just looking at something? Doug Chiang: It’s a very subtle thing. It’s part of the homework you have to do. Sometimes it might come across in the minutia. Let’s say you’re going out and designing a jungle world. If you look at jungle pictures, yeah, you can probably mimic the shapes. But until you go out there and feel the humidity and feel the thickness of the air… It’s that little layer of real experience that you’ll start to design into it. The easiest translation is that when you design a set, you’ll just create that heavy humidity by having extra moisture on the wall. Things will rust in a slightly different way because you saw something there. You saw a piece of hardware in the jungle and how it corroded [differently] because of that moisture. So those are the things that you bring back, and those are the details that you then add to set design. 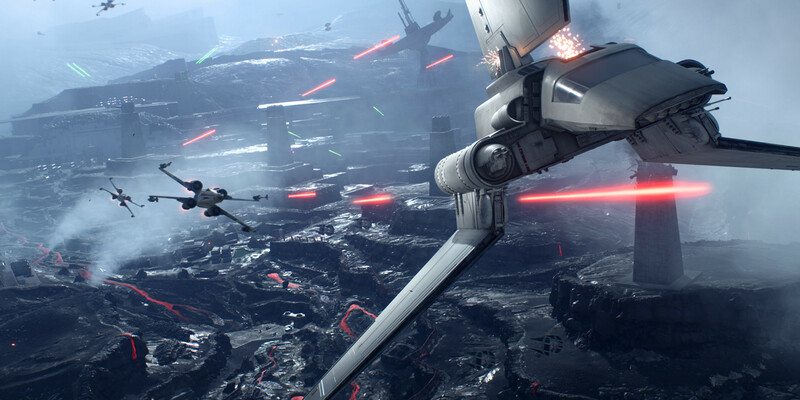 StarWars.com: With Battlefront being made for PlayStation 4, Xbox One, and PC, they can create worlds in a level of detail that we’ve never had before. What does that mean for you, that these worlds are more realistic? 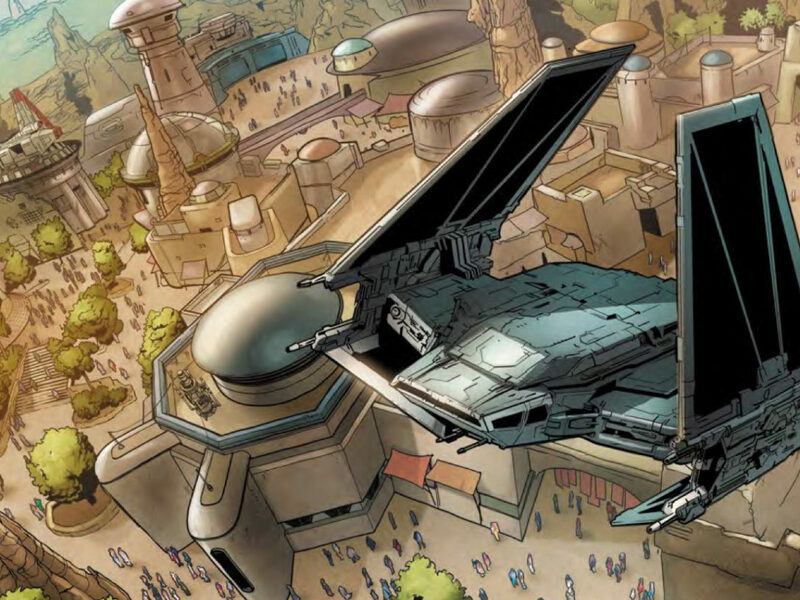 Doug Chiang: I think that’s the fantastic thing about where we are now with the convergence of the two technologies. The game experience is so theatrical and the level of detail is at such a high fidelity that you do feel totally immersed in the experience. What I like about that is, literally, you’re actually walking and experiencing a scene in the film but you’re in control. I remember when I was young and watching the Star Wars films, there were certain environments I just wanted to explore and Endor was one of them. “Can you stop the film right here? 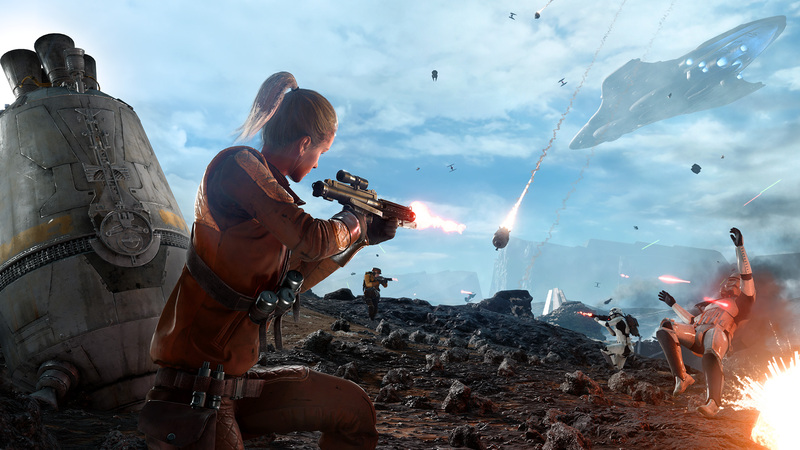 I want to just walk around.” The brilliance of the Battlefront game is, you can do that now. That’s the funny thing. When I played it, I didn’t shoot anything. I just walked around. [Laughs] It’s that whole feeling of exploration that I remember as a kid.